This dinner will be hosted by Margaret Munzer Loeb in her Upper West Side home on Friday, October 12, 2018, at 7:00pm. 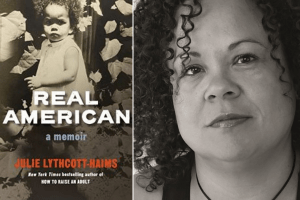 Julie Lythcott-Haims will discuss her moving memoir, Real American, a bold and impassioned exploration of how she learned to love her Black and biracial self in a country coming to terms with the emotional and cultural divide imposed by systemic racism. Tickets to this dinner are considered a 100% tax-deductible donation to PEN America and are available on a limited basis. Please click below to purchase your ticket(s) and reserve your seat(s). Please contact Jafreen Uddin at [email protected] for more information.